Hello TAYers, friends of gaming and related stuff. Today I want to talk to you about something I hold close to my heart, my childhood with gaming and why I am disappointed with the industry. I was raised in the 80’s and 90’s, in a country were some things arrived a bit later than others. And one of my first video game experiences was a computer that my parents gave me and my brothers, a Sharp MZ-700. 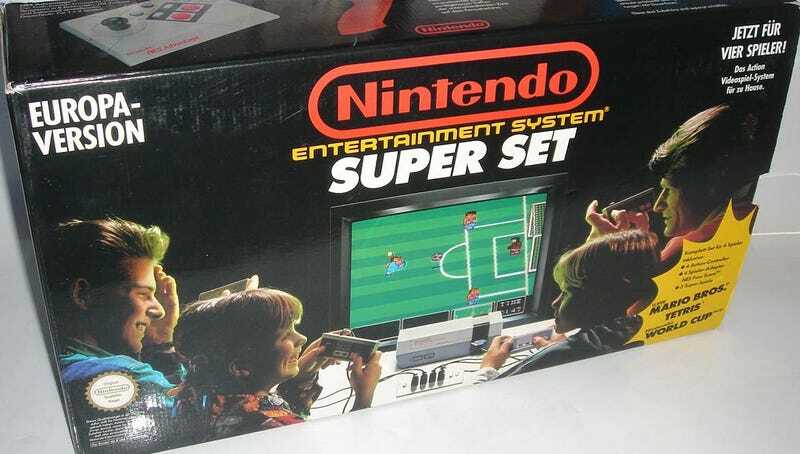 My second and third gaming systems were a NES Super set, with 4 controllers, Super Mario Bros., Tetris and Nintendo World Cup, and a GameBoy. After that, I had other Nintendo consoles, and some PC’s. There were also arcades were I used to play, and some of ,y friends had other systems like the Sega Megadrive. I was only allowed to go into them in the 90’s because there was a minimum age limit here. What I am trying to say is that I was lucky enough to grow up in a great time of advancement and change in this industry. Doing a stupid comparison, in the same way that people in the 1900’s saw the evolution of the machine, with the train, the car and booming industry, I saw the gaming industry evolve. I grew with it, it grew with me. It thought me a lot. As I said, my first computer was the above pictured Sharp, the games on this ran from a tape, an actual cassette tape. Some of you may not know but back in the day, games weren’t instant. It wasn’t just a click of a button and off we went, we had to wait for the game to load. And sometimes this failed and we had to try to load it again. It was as common with this one, as it was with the classic Spectrum. We had to be patient to play. And although we had a considerable list of games to play, it wasn’t an easy task, we had to discuss with our friends what we were going to play. We had to load the game and wait. In the meantime we played, actually played with toys, while we waited. This thought us patience. These days if something is taking more than a few seconds to load we complain, we waited minutes back then. And there was no online gaming, we had to wait minutes, several minutes. I am repeating myself on purpose to get point through, as that was what happened, games were loaded several times until they worked. Art is a reflection of life. And life is hard. We have to work for what we want. It takes effort, time, sweat… back then, games were like this, though as the proverbial nail. In the 80’s and early 90’s there was actually something known as “Nintendo Hard”. Nintendo games were so ridiculously difficult that they had their own level of difficulty. But it wasn’t just Nintendo, it was everything, games were hard, they made us sweat and work for that accomplishment of getting through to the end. And it was a combination of reasons that caused that: clunky controllers, extremely high AI, evil programmers, games that were originally designed for arcades and for you to keep losing and spend your coins or tokens… This is another thing games thought me. Nothing was ever going to be “given” to me. Well, most things, but you get the point. I had to fight for it, I had to face failure several times until I got what I wanted. This is something, like instant gratification which substituted the delayed and earned one I mentioned before, that is missing today. No one plays to win, or lose, we just play... without an actual reward for what we did. Above all, we used beat the game because we managed to, not because we paid for something extra to do it, or had the game finish itself for us. Today everything went digital. It’s cheaper, more convenient. But I miss owning physical games. I miss that before I played a game I sat down on the floor, opened the box, took out every bit of paper and went through them all a few times. Games were fun, they were hard, but they were fun. Did we care about resolution, graphics and crap? No. Games were meant to entertain us, they were made for us to enjoy them. Now… I’m not so sure. I have fun with some, but it’s not the same. Or maybe it’s not them... It’s me. I could go on, and on, about this. Games were released as a finished product. There were no 15GB update patches on day one. There were no paid DLC’s for extra levels or items. The game was there, fully finished, playable from beginning to end. And that’s it. Thanks for reading my little rant.